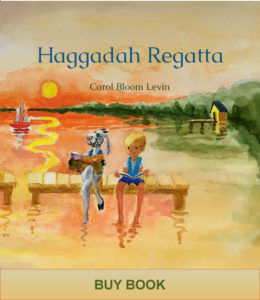 In Haggadah Regatta, two kids and a crew of shoes sail the Haggadah Regatta under a Matzah Ball Moon. 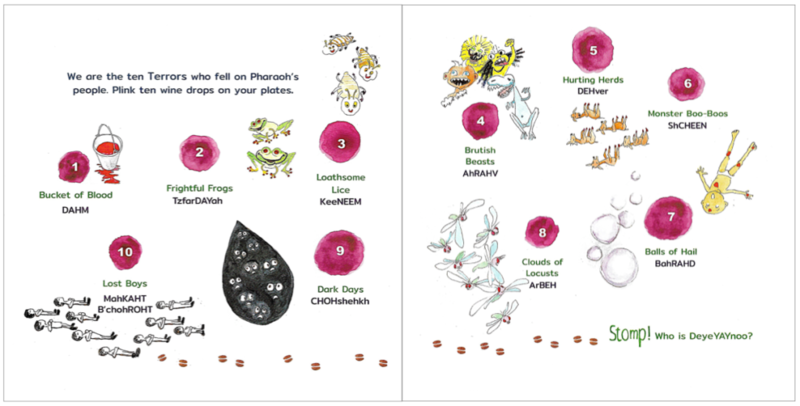 Everyone on the little matzah raft gets into the act in this playful Passover Haggadah. The seder will engage even the youngest members of the tribe. There are goat tracks to follow and wine drops to plink. The read-aloud gathers steam as the crew asks again-and-again, “Who is?” Readers take turns, telling “how” and “why”. A Phonetics User Guide helps say the words in Hebrew.